OTTAWA — The Trudeau government faced fresh fire over its treatment of disabled veterans on Thursday after a new analysis by Parliament's budgetary watchdog found an incoming system of benefits will shortchange some of the most severely injured former service members. The report by parliamentary budget officer Yves Giroux also appeared to confirm what many within the veterans' community have long maintained, namely that the benefits for those leaving the Forces today are less generous than was available to previous generations. Defence Minister Harjit Sajjan, who is acting as the veterans affairs minister following Jody Wilson-Raybould's resignation last week, defended the Liberals' plan, saying it will address many of the shortcomings of previous systems. "This system that we are putting into place looks after our veterans in a much more comprehensive way," he said. "This is about listening to them and are we delivering for them … and where we need to make changes, that's what this new program also allows." Yet the budget watchdog's findings were quickly seized upon by veterans and their advocates as vindication after many had expressed anger at the Liberals and their plan, saying it fell far short of ensuring equality between different generations of veterans. "This validates and vindicates everything we were trying to do," said retired major Mark Campbell, who lost both legs in Afghanistan and led an ultimately unsuccessful legal fight to get the federal government to bring back a previous disability pension for veterans. "It's nothing more than a cost-saving measure on the part of the government of Canada cleverly disguised behind a bunch of numbers and bafflegab." Giroux's analysis looked at three regimes implemented for veterans over the years: a lifelong disability pension established after the First World War; a lump-sum payment and suite of benefits that replaced the pension in 2006; and the Liberals' own plan, which will come into effect on April 1. For all veterans, the result was found to be the same: the pre-2006 pension was the most generous. How much more? The report says disabled veterans would receive on average 1.5 times more over their lifetimes under the pre-2006 pension than the Liberals' plan. "From the perspective of the veteran, virtually all clients would be better off if they were to receive the benefits of the (pre-2006) Pension Act," reads Giroux's analysis, which was produced following a request of several MPs and senators. The federal Liberals promised during the last election to reinstate lifelong disability pensions after many veterans complained the lump-sum payment and other benefits that replaced it was less generous. That was widely interpreted as bringing back the pre-2006 pension system, which was replaced by a lump-sum payment and suite of rehabilitation programs and other financial supports called the New Veterans Charter. But the Trudeau government instead introduced its own version, which will come into effect on April 1. 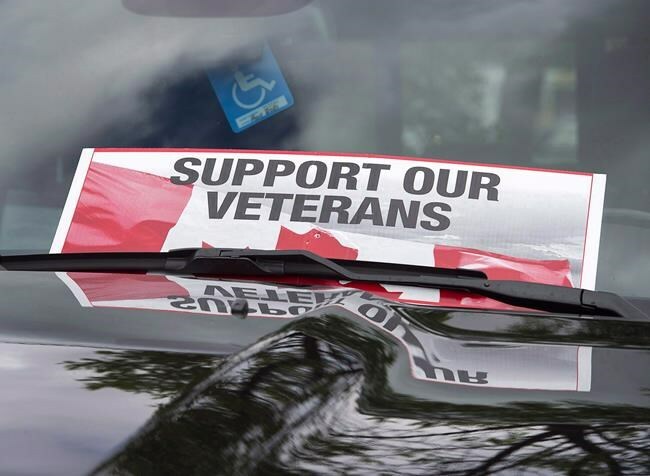 That version has been blasted by many veterans as a betrayal of the Liberals' campaign pledge. The watchdog did find that most veterans will see a six- to 24-per-cent boost in financial support when the Liberals' incoming plan, which includes a pension option, replaces the current scheme, depending on whether they are already receiving benefits or not. But some severely injured veterans who apply for benefits after April 1, when the new system comes into effect, will receive less because the government did away with a benefit designed to compensate those veterans who can't work because of their injury or illness. "So that's why the most severely disabled veterans will be the losers for that transition," Giroux told reporters after the report's release. "We didn't get a sense of why or whether it was intentional. What I can say is that the suite of benefits available to veterans is very, very complex. … So it may be an oversight, it may be intentional. I have no idea." Thursday's report was also the first to put a dollar figure to the three systems, saying it would cost $40 billion to provide pre-2006 pensions for all current veterans, compared to $22 billion under the current system and $25 billion under the Pension for Life. Prime Minister Justin Trudeau came under fire last year after he said Campbell and five other veterans who had launched an ultimately unsuccessful lawsuit against the government to reinstate the pre-2006 pension system were asking for too much. Giroux's report appears to confirm fears that the Liberal plan was either a "slapdash effort" or a "shell game" aimed at veterans, said Brian Forbes, chair of the National Council of Veterans Associations, which represents more than 60 veteran groups. The government should take the opportunity to fix its plan by implementing several recommendations from a ministerial advisory group that he and Campbell sit on, Forbes added — warning the Liberals could hear from veterans at the ballot box in October if they don't. Note to readers: This is a corrected story. A previous version provided an incorrect number for the difference in benefits between the pre-2006 pension and the Liberals' plan.